The SRU U20 Club 7s kicked off on a slight delay on 28th June after heavy thunderstorms. 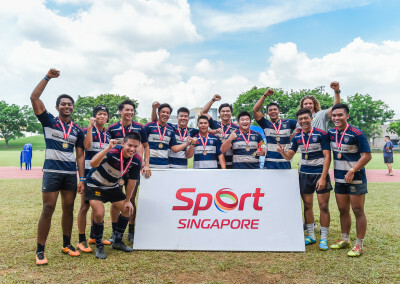 Despite having to wait for a couple of hours to start an exciting tournament of sevens, the U20 boys showed no sign of being lethargic. 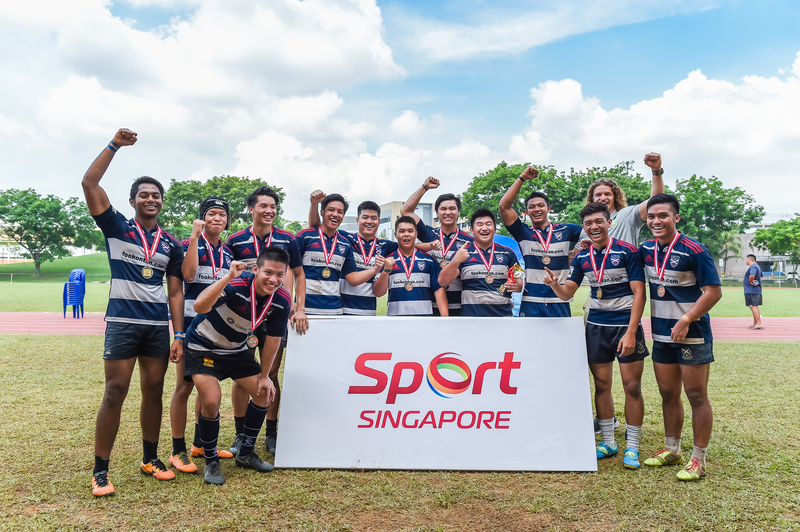 The next crop of future Singapore stars took the field eagerly once the dark clouds cleared. The wet weather went some ways in making ball handling hard, and this was evident by the amount of unforced errors. 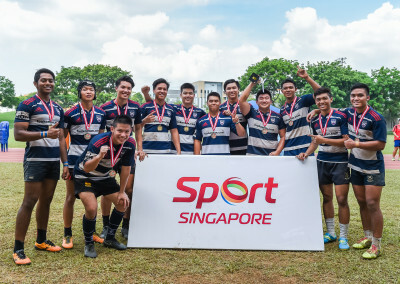 Nevertheless, the youngsters from all 10 participating teams seized their opportunities and showcased their speed and ferocity throughout the tournament. By the end of Day 1, onlookers were particularly impressed by the skill-sets of Saint Andrews, SCC, Oldham and Bedok Kings Red. Each of these teams seemed a cut above the rest and were consistently routing the other teams by large margins. True enough, on Day 2, all 4 frontrunners were through to the semi-finals. 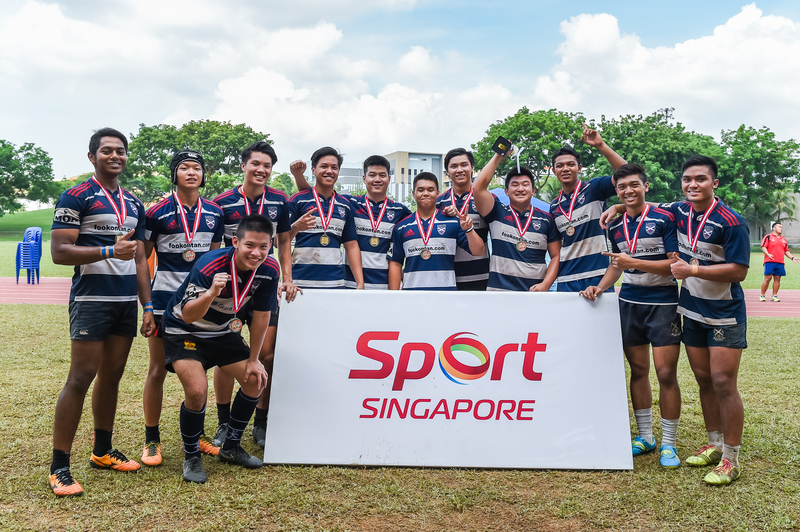 In the first semi-finals, Bedok Kings Red were leading Saint Andrews from start to finish, but a well constructed last gasp try from Saint Andrews sealed the deal. Shortly after, SCC dismissed Oldham with a destructive display of their running rugby. The finals truly delivered a spectacle. Saint Andrews immediately put the knife to SCC’s throat with brilliant team play. 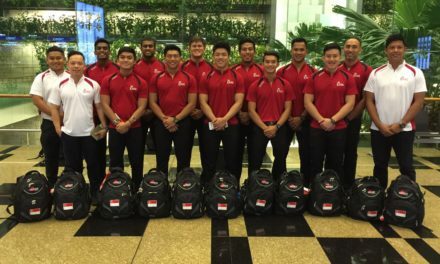 All of the Saints boys executed the pullback mentality of sevens to great effect. Slowly but surely, tiring defenders gave them the half-gaps. It was also apparent that Saint Andrews’ had superior fitness as the SCC boys looked to be on their last legs after two days of battle. A handful of rapid tries and the game seem to be sealed for the Saints. However, SCC went down stubbornly. Barnstorming runs from Ewan Fergursonn repeatedly brought them into opposition territory, but there was little else that could be done. 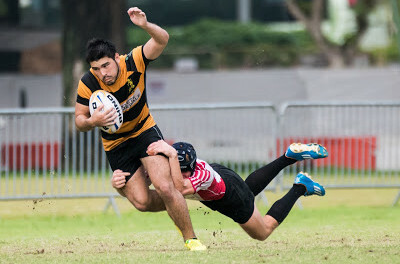 Austin Ng of Saints added one last insult to injury, as the big lumbering prop burst past a defender on the wing before demolishing the last defender to score in the corner to emphatic cheers from the spectators. 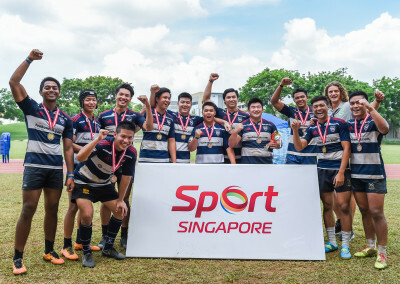 Saints maestro Timothy Pan, who orchestrated the finals from start to finish, clearly was the Man of the Tournament. He even got a mention from the Guest of Honour, visiting Australian International Nick Cummins. The fan-favourite rounded off the day with the prize presentation before sharing some of his vast experiences with the youngsters. It would be hard to argue that the future isn’t bright for these youngsters!